Creative destruction is the "process of industrial mutation that incessantly revolutionizes the economic structure from within, incessantly destroying the old one, incessantly creating a new one." Innovation, as a concept, and processes intended to promote innovation have been adopted by, and integrated into, many traditional industries and businesses, and have become the platform for value creation in new ventures (or start-ups) and age-old “blue chip” corporations across the globe. In fact, Clayton M. Christensen (author of the Innovator’s Dilemma, among many other works, the “father” of disruptive innovation theory and a professor at Harvard Business School) is responsible for having taught two or three generations of business leaders what innovation means and how it can generate massive value over the long term. And while for over two decades business leaders and Silicon Valley-based tech leaders have been taking note of Christensen’s research, wisdom and guidance about innovation and, specifically, “disruptive innovation,” lawyers, their clients and “thought leaders” in the legal space have not. As a result, innovation has remained a relative “unknown” in the legal profession and the business and service delivery models for legal services continue to remain substantially intact. It is only recently that clients, lawyers, tech start-up founders and business leaders (of large and small corporations) have begun to understand innovation – and the practice of innovation – and what the implications could be for providing legal services, increasing access to legal services (and, hence, justice) and generating legal work products. Christensen created the term “disruptive innovation,” which refers to the process whereby organizations (e.g., small start-ups) with relatively few resources successfully challenge the product and service offerings of one or more well-established, or incumbent, businesses. The development of computer- and SaaS-based legal tech applications has altered the way in which attorneys and other legal service professionals can provide and deliver legal services across the board – from conducting research, prosecuting patents, preparing litigation memoranda and briefs, leading significant M&A transactions, managing clients’ legal budgets and engaging with their clients, among many other services. Legal tech applications can even help with providing broader access to legal services to those who would not otherwise be able to afford to pay for legal services. The applications, or tools, above are examples that the legal landscape and the practice of law are undergoing transformation, with the infiltration of technology into all aspects of legal services and work products. 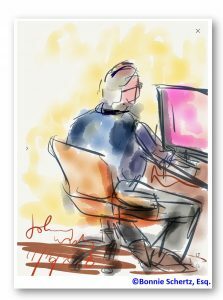 And while lawyers and other legal service providers, clients and other stakeholders of the legal profession have been relatively slow to adopt and practice innovation, some have shown, and continue to show, an IMMENSE DESIRE to grapple with what innovation means within and for the profession. This desire has manifested itself in innovation forums throughout the world, and these forums have taken the forms of multi-day conferences, start-up incubator or accelerator programs, innovation labs within multinational research and consulting firms and cross-discipline symposia within law schools, among other forms. All of these initiatives are, indeed, GLOBAL in nature. Silicon Valley (Menlo Park and Stanford, California). This Part I will focus on the multi-day conferences that are held throughout the globe and throughout the year. As starting point, below is a map of various multi-day conferences held throughout the world, each aimed at showcasing legal tech (in all of its manifestations and iterations) and bringing “thought leaders” and “change agents” together with practitioners to discuss how we can help promote disruption innovation, creative destruction and transformation within the profession in the most constructive way for all stakeholders of the profession. All of the conferences provide significant opportunities to network, collaborate and share ideas about a wide range of innovation- and process-improvement related topics. CLOC London Institute (January). See CLOC Vegas Institute below for details. Legal Tech Legal Week (January). 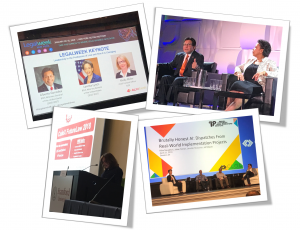 Legal Tech Legal Week provides an in depth look at what the legal tech industry has in the pipeline or on the market to meet current and future technology needs. Legal Tech Legal Week facilitates the examination and exploration of systems, strategies and processes that will help to reinvent law firms into the next decade and beyond. ILTACON (August). ILTACON is a four-day educational conference seeks to empower lawyers and other stakeholders in the legal profession to share their experiences with innovation and to highlight tools to face challenges now and in the future. Summit on Law + Innovation at Vanderbilt Law School (Summer (July)). The Summit on Law and Innovation at Vanderbilt Law focuses on fostering the collaboration between legal practitioners, legal educators and technologists. It does so by creating an environment that allows different voices from various sectors of the legal profession to organically start conversations on collaboration and innovation in the legal profession. The conference is set similar to TED talks, allowing speakers to speak for a short period of time, then allowing the audience to engage with the speaker and each other. ABA Tech Show (February). ABA TECHSHOW is where lawyers, legal professionals and technology all come together. 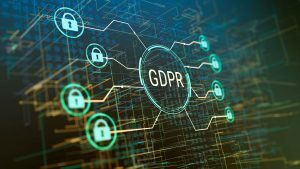 As legal work becomes more dependent on the use of technology, in and out of the office, it will become critical to learn about new technological tools. For over three days, attendees learn about the most useful and practical technologies available. The co-chairs for the 2019 ABA Tech Show (February 27 – March 2, 2019) are John Simek, Vice President, Sensei Enterprises, Inc., and Lincoln Mead, Project Manager, Canon Business Process Services. Simek and Mead have been designing this year’s program for about one year, and they strive to continue the excellence in innovation that the ABA Tech Show represents. Block(Legal)Tech: A Conference about the Future of Law/ Chicago-Kent College of Law / The Law Lab (August). Block(Legal)Tech conference focuses on the evolving regulatory and legal issues in the blockchain and cryptocurrency space, such as the future of U.S. regulation of crypto-assets, government’s role in promoting blockchain adoption, minimizing the risks of crypto-litigation, the role of lawyers, the evolution of smart contracts and the impact on the legal profession, and myriad other legal issues that stem from the use and implementation of blockchain and distributed ledger technology. Relativity Fest: eDiscovery Conference (October). Relativity Fest is an annual conference designed to educate and connect the e-discovery community. CLOC Vegas Institute (May). 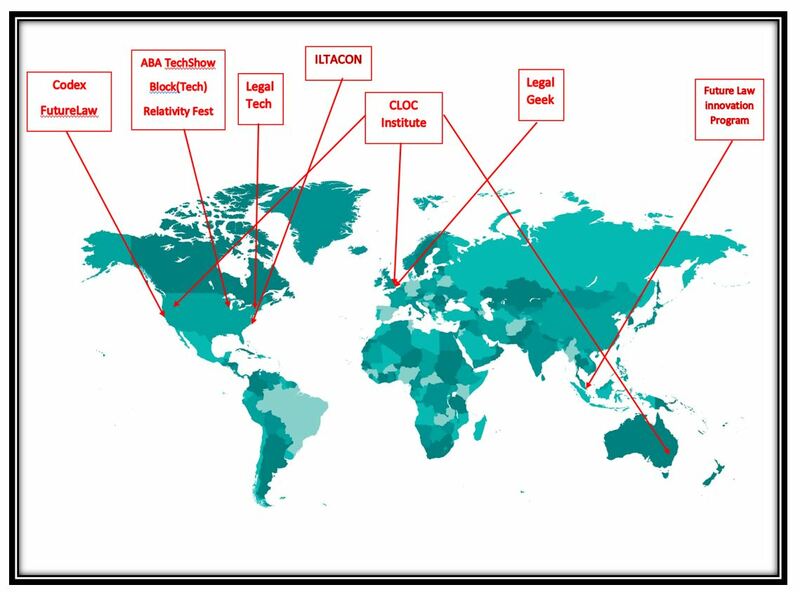 The Corporate Legal Operations Consortium (or, “CLOC”) was founded by Connie Bretton, Senior Director of Legal Operations at NetApp, as a book club in 2010 and has now grown into a substantial organization with the mission “to help legal operations professionals and other core corporate legal industry players (e.g. tech providers, law firms, LPO’s, law schools, etc.) optimize the legal service delivery models needed to support the needs of small, medium and large legal departments and government entities.” Taking their mission very seriously, CLOC has organized four multi-day conferences around the globe: one in Las Vegas, Nevada, two in London, England, and one in Sydney, Australia. All of the Institutes attract hundreds of professionals interested in learning more about tools and new processes that can help them improve the ways in which legal departments function. Codex FutureLaw Stanford University (April). FutureLaw, the brainchild of Roland Vogl, is an annual conference focusing on how technology is changing the landscape of the legal profession, the law itself, and how these changes impact us all. The conference is attended by academics, entrepreneurs, lawyers, investors, policy makers, and engineers spearheading the tech-driven transformation of the legal system. And while FutureLaw is an annual event, Vogl works tirelessly throughout the year to continue the momentum for change in the legal profession and in the legal tech ecosystem by hosting weekly open conference calls during the academic calendar year. The calls present opportunities for entrepreneurs, practitioners and legal and other academicians to openly discuss innovation and innovative platforms to help the legal profession evolve. Future Law innovation Program (Various Times Per Year). The Future Law Innovation Program (FLIP) is an umbrella body of the legal community in Singapore and has close to 10,000 members, looking to create a vibrant legal technology ecosystem in Singapore to drive technology development in tech startups and law firms. FLIP, through single- and multi-day programs, among other initiatives, aims to drive legal technology excellence through the development of thought leaders. and world-class infrastructure and legal solutions. CLOC Australia (Sydney - September). See CLOC Vegas Institute above for details. Note: The above list is not, by any means, intended to be exhaustive. We have only listed here the conferences we believe, in our opinion, have contributed, and continue to contribute, the most to opportunities for provoking and supporting innovation in the legal industry. Chase Hertel and Sarah Glassmeyer of the ABA Center for Innovation have put together a longer list, which is available at https://airtable.com/shrhywZPvRu2c2tbS/tblXYPCIYmnVictB7?blocks=hide.